With a singular focus of sourcing and roasting the highest quality coffees, Seattle’s Kuma Coffee never disappoints. 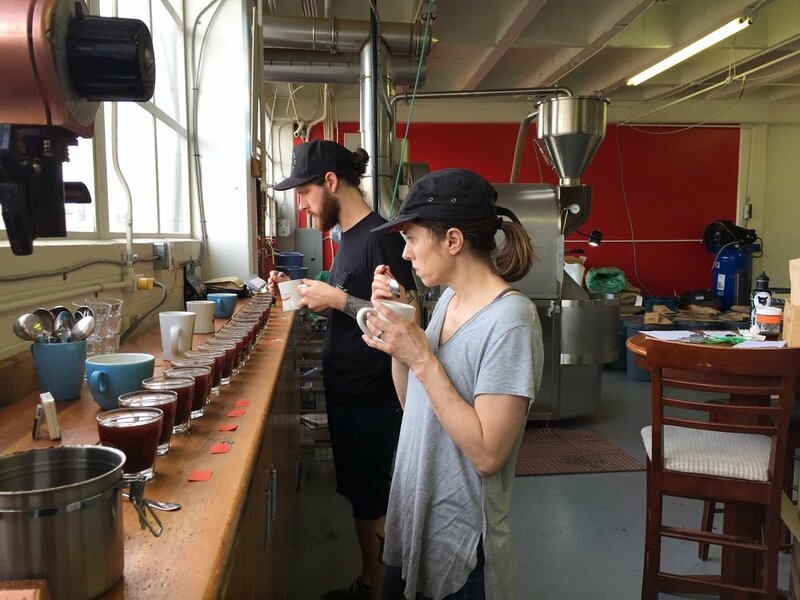 We had the pleasure of tasting a few samples from Kuma a couple weeks ago and are excited to share with you a little bit more about Kuma alongside their Ethiopia Chelelektu. Kuma’s founder, Mark Barany has been around coffee since the mid-90s when he and his parents moved to Nairobi, Kenya as missionaries. “I learned to play rugby. I learned to speak Swahili. But most importantly, I learned I loved African coffee,” reads Mark’s letter on Kuma’s website. After a few years as a barista and later as a hobby roaster, selling to friends and local stores, Kuma ramped up production in 2009 with “a desire to make something available that wasn’t before in Seattle: high scoring, super specialty coffee that is roasted really well.” Out of this desire, Kuma has “grown to sourcing most of our volume at origin, and even buying green coffee for other roasters,” says Peter Mark Ingalls, who we spoke to for this article. This relationship with farmers has been essential in the development of Kuma as a specialty roaster. Kuma roasts on a Loring Kestrel 35k for their friends and wholesale partners in Seattle and around the US, so they recommend finding Kuma in Seattle at some of their cafe partners like: Milstead & Co., Ada’s Technical Books, Mr. West, Tougo, Empire, Convoy Coffee, or Sea Wolf Bakers. Kuma also recommends brunch at Porkchop & Co. followed by a walk around Discovery Park alongside the Puget Sound. We’re always excited about serving Kuma at the shop. As always, we’ll have the Ethiopia Chelelektu on Espresso and Chemex Pourover. If you’re interested in checking out the crazy complexities of this coffee, try it out both ways!